In Canada, the charges for criminally blameworthy homicide are murder, manslaughter and infanticide, with first degree murder being the most severe charge one can face. Conviction on any of these charges can result in several years in prison, at a minimum, with the potential for lifetime imprisonment. With more than two decades of experience successfully defending people facing even the most serious criminal murder charges in Ontario, David G. Bayliss provides his clients with vigorous, defence strategies based the circumstances and facts of each case. As a one of Toronto’s most skilled criminal defence lawyers, read about his successful cases involving murder charges. The sentence for adults convicted of first degree murder is life imprisonment with no parole for at least 25 years. There are different sentencing guidelines for youth under the age of 18. Generally speaking, second degree murder is an intentional killing that occurs without planning and does not involve any of the victims or circumstances listed above under first degree murder. The sentence for second degree murder for adults is life imprisonment with no parole for at least 10 years. Manslaughter occurs when a person unintentionally causes the death of another, including by committing an unlawful act or act of criminal negligence. For example, in a fist fight, one man punches the other, causing him to fall down and strike his head on a curb, resulting in death. When an individual is guilty of drinking and driving, and causes a fatal car accident, this may also be considered manslaughter. Infanticide occurs when a woman causes the death of her newly born child her mind is disturbed as a result of the effects of giving birth. The maximum sentence for infanticide is five years in jail. There is no minimum sentence. 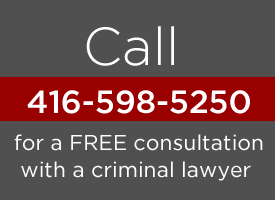 Contact the criminal law firm of David G. Bayliss online or call 416.598.5250 to schedule a free initial consultation with a highly experienced Toronto defence lawyer. David G. Bayliss is a criminal lawyer dedicated exclusively to the practice of criminal law. Whatever the criminal charge, he will defend his client’s rights and work tirelessly to achieve the best possible results. Read my article on Murder, Manslaughter or Infanticide – Culpable Homicide Under Canadian Law.